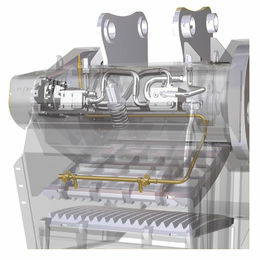 BF135.8, Inexhaustible power - MB S.p.A. 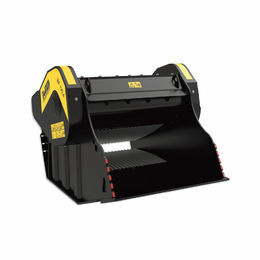 Suitable for excavators starting from 94,800 lb., the BF135.8 crusher bucket was created to meet the specific needs of crushing in quarries, aggregates recycling projects on landfills, excavation, sewage systems, to reduce material space, and site preparation. 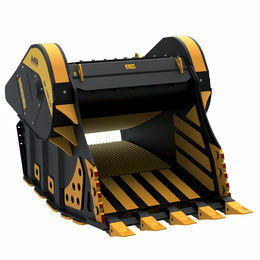 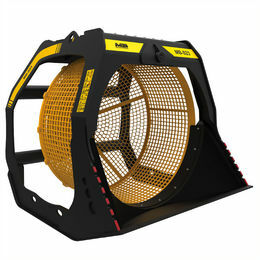 With production up to 115 yards per hour, 2.09 cubic yards of capacity, and a total weight of 16,500 pounds, the BF135.8 crusher bucket is a versatile workhorse.